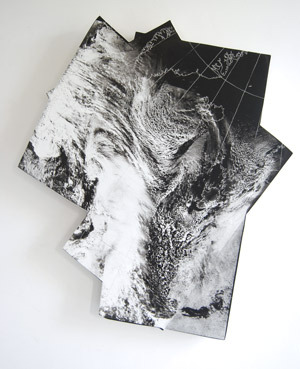 Weather satellites scan the earth in strips, producing slithers of information. 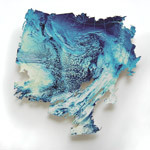 Once pieced together, they build up a picture of the weather systems. I like the shaped snapshots these scans create, especially when overlapped they form irregular shapes which interact with the movement and rhythms of the cloud shapes. 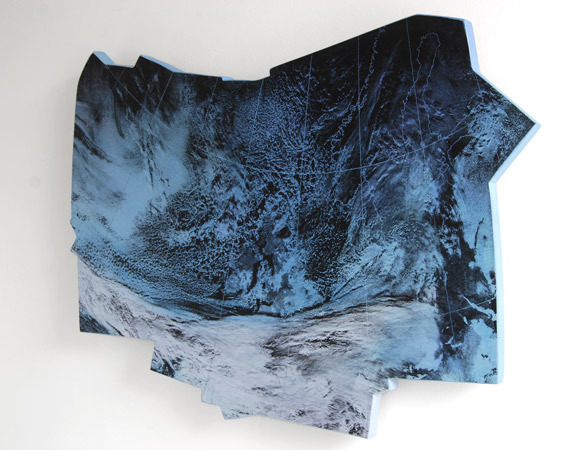 Having created shaped prints in 2010 I decided to explore the object quality of these scans, creating shaped gesso-coated mdf panels onto which I screenprinted and painted directly. 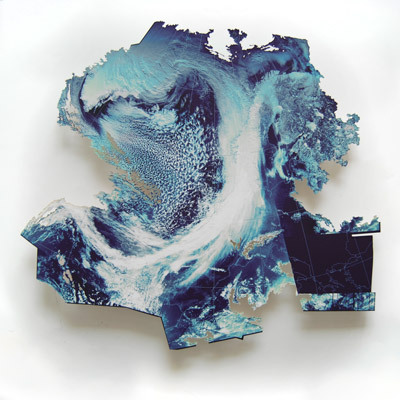 Following that, I created a series of laser cut digital prints based on famous winds from around the world. Utilising the laser cut allowed more intricate wisp like fragments.